Climate change is a huge, complicated issue. In tackling a challenge of this scale, Delaware is taking action across state agencies to avoid the worst impacts of climate change, and to fortify the state against the impacts we already have begun to experience. The overwhelming majority of Delawareans accept that climate change and sea level rise are impacting the state. In a 2014 survey, 76% of Delawareans supported taking immediate action and 70% supported putting state and local government efforts and funds toward projects that will prepare and protect our infrastructure. State agencies and local governments in Delaware are working together to respond to climate change. And there are many actions open to individuals and families as well. In 2013, then-Governor Jack Markell signed an Executive Order (Preparing Delaware for Emerging Climate Impacts and Seizing Economic Opportunities from Reducing Emissions) and created a Cabinet Committee on Climate and Resiliency. The executive order provided a road map for state agencies to prepare for the impacts of climate change and to reduce the greenhouse gas emissions that cause climate change. It is the backbone behind many state agency activities that will help reduce the impact of climate change to the state. The Cabinet Committee on Climate and Resiliency was set up to guide state agencies through the process of implementing and carrying out the executive order. They have set a goal to reduce Delaware’s greenhouse gas emissions 30% by 2030. 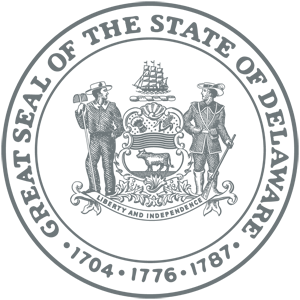 They have developed a climate change action plan, the Climate Framework for Delaware, and are charged with producing progress reports that keep the Governor, legislators, and public informed on the progress of these mitigation and adaptation efforts. 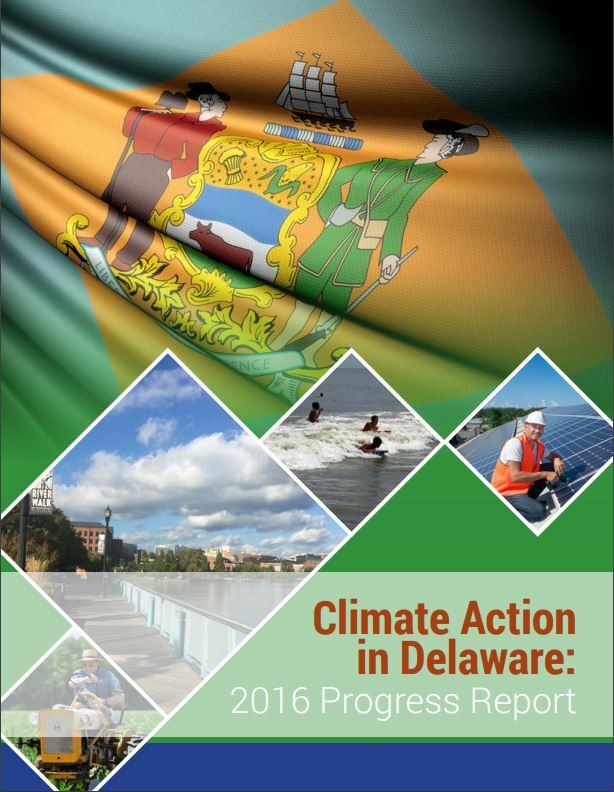 The Climate Action in Delaware: 2016 Progress Report provides an update on the actions and goals outlined in the Climate Framework (see below). This report highlights the actions and accomplishments made by Delaware’s state government to curb greenhouse gas emissions and adapt to the impacts of climate change – what has been accomplished and what work is still to be done moving forward. It also provides an overview of local government actions and sets out a vision for the future. 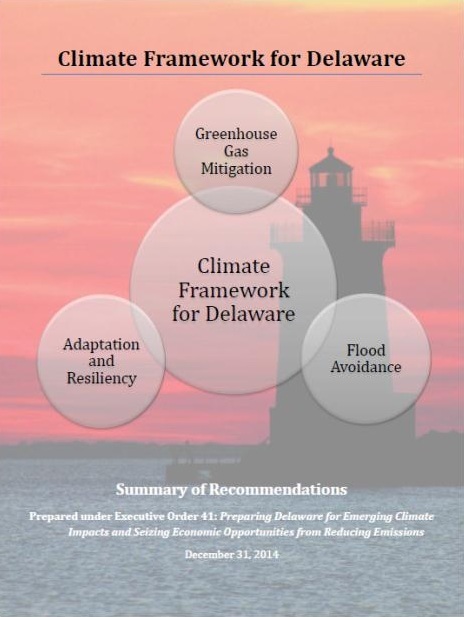 The report includes an Adaptation Appendix, which provides a summary of progress for each climate adaptation recommendation developed by the eleven Delaware state agencies. The adaptation plan, Preparing for Tomorrow’s High Tide, provides recommendations for Delaware agencies, local governments, businesses and citizens to plan for and put in place strategies for responding to rising sea levels. It was prepared and approved by the 24-member Sea Level Rise Advisory Committee. Flood Avoidance – Identifying areas and infrastructure that are put at risk from current and future flooding, and fortifying existing structures in high-risk areas.